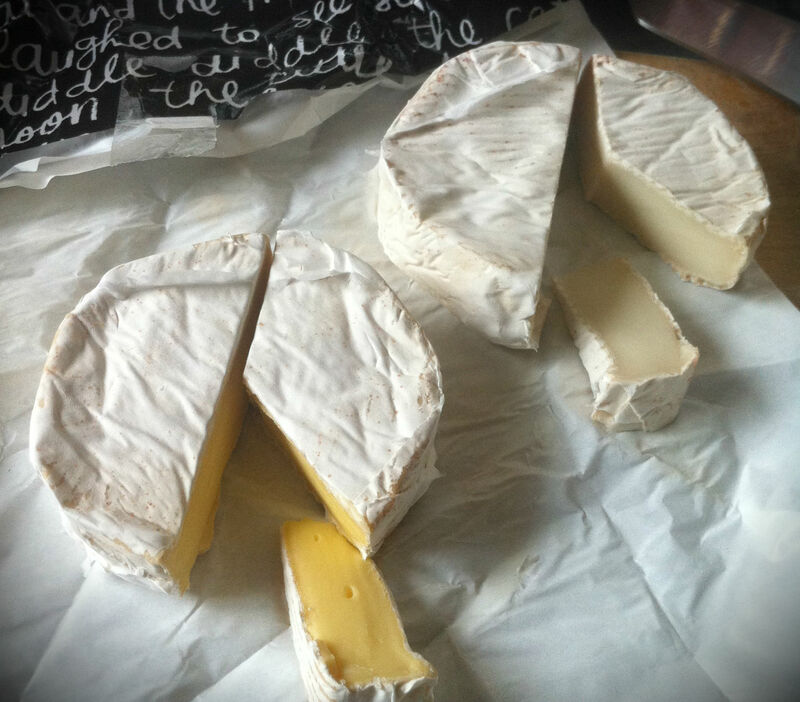 I was in the garden today when my friend Jenny bought in a pressie – two Over the Moon camemberts – one goat, one Jersey cow. And like me last week, she’d had a great cheese tasting experience. She’d been traveling down from Auckland and had stopped in at Over the Moon’s shop in Putararu. Over the Moon is boutique cheesemaking company in the heart of the Waikato. Jenny ended up in their tasting room where, in her words, a lady sliced cheese after cheese for her to sample. She said she only went in to go to the bathroom! We decided to eat them together – like a cheesey beauty contest, literally. From the outside they looked the same, both wearing Over the Moon’s distinctive packaging with its trademark handwritten nursery rhyme. Even their rinds were similar, but slice them open and they were as different as Miss Sweden and Miss Venezuela, both beautiful but different. The goat was all ivory white, with an almost mother of pearl sheen. 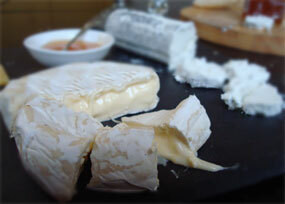 Contrast this with the sunshine yellow of the Jersey cow Camembert and you see immediately the difference between goat and cows milk and the unique characteristics they bring to individual cheeses. So why is goat’s milk cheese so white? It’s because it lacks beta carotene. Goats, unlike cows, turn the beta carotene in grass into Vitamin A, which is colourless. This also explains why Kiwi butter is yellow whereas American butter is white – grass fed versus dry or grain fed cows. The taste too was completely different though both had lovely smooth pastes, firm, and neither ripe to the squidy point. The Jersey cow was creamy, as her sunny looks implied, and had a faint mushroom that in the goat was replaced by a distinct goatiness! I loved it, but then I love goats milk cheeses of any ilk. I noticed Jenny, and our two companions veered toward the cow, which was scoffed fairly rapidly. Lucky for me there was a skerrick of the goats left which I enjoyed after another fine day in the garden. Thanks Jenny and thanks to the folks at Over the Moon. I am trying to find an excuse to go through Putaruru so I too can be invited into the tasting room and tantalised by their range of excellent cheeses. Oh and by the way they won a shed load of awards at the 2012 NZ Cheese Awards. 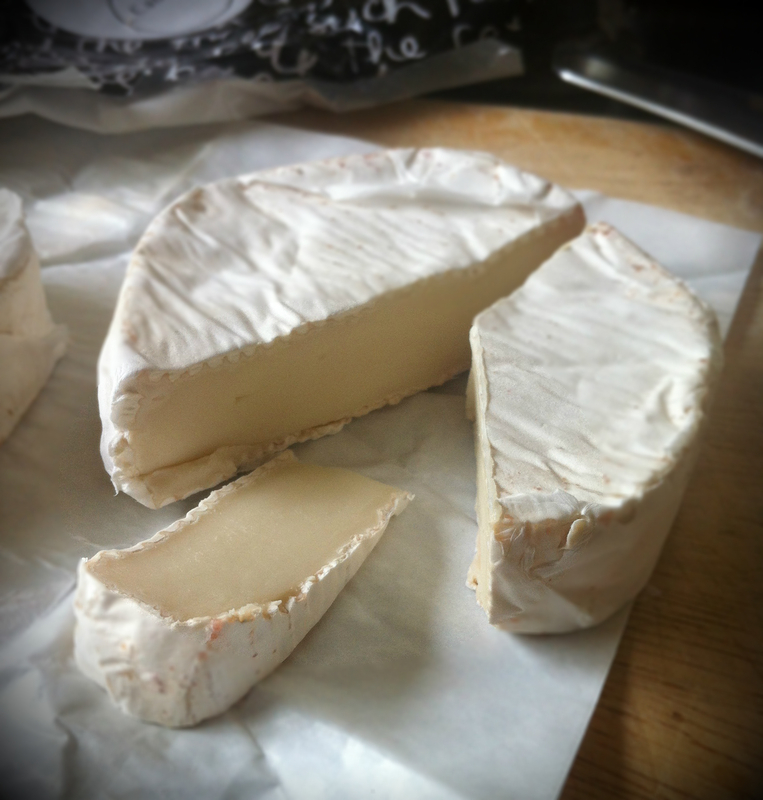 Great blog Lucy and as someone who likes cheese but knows not much this makes a great read. And lucky me that I sometimes get to enjoy the tasting! Thanks Jane. I’m really enjoying putting the cheese boards together for cheesy book club! Well thank you for making your cheese Sue! So great to see delicious Kiwi cheese!